The demand for aquatic food is increasing dramatically worldwide and at the same time there is a pressure for more efficient production and distribution systems to deliver healthy and safe food also taking into account the environmental and sustainability issues throughout the entire aquatic food value chain. 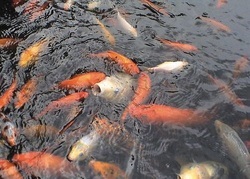 Aquatic systems provide a source of food production. Unsustainable use of aquatic ecosystems can lead to environmental degradation and collapse of wild fisheries. Aquaculture provides potential for increased food production. 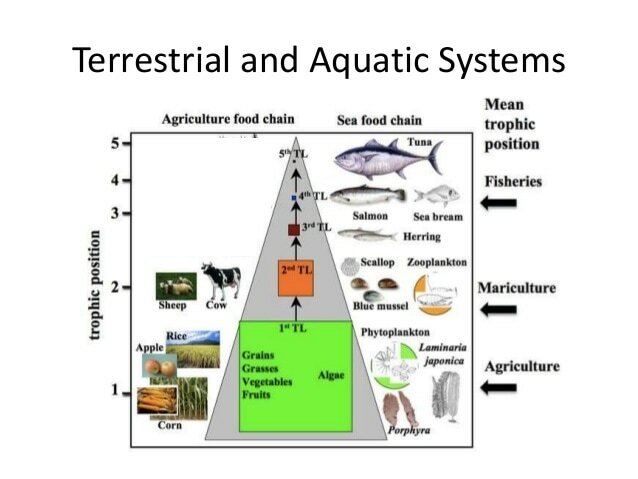 How far does a systems approach help our understanding of aquatic food production systems? to what extent can fisheries be manages sustainably? Outline the likely pressures on, and potential solutions for the world fisheries in decades to come. 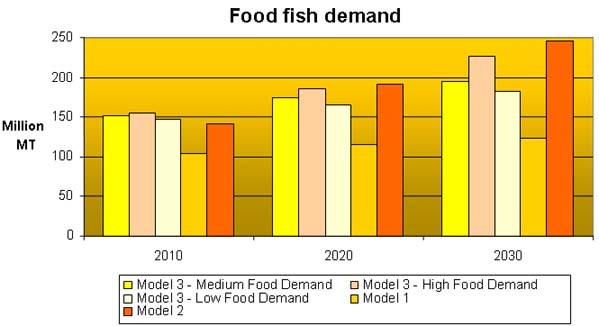 4.4.U1 Demand for aquatic food resources continues to increase as human population grows and diet changes. 4.4.U2 Photosynthesis by phytoplankton supports a highly diverse range of food webs. 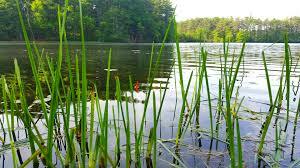 4.4.U3 Aquatic (freshwater and marine) flora and fauna are harvested by humans. Sustainable fishing guarantees there will be populations of ocean and freshwater wildlife for the future. Aquatic environments are home to countless species of fish and invertebrates, most of which are consumed as food. (Others are harvested for economic reasons, such as oysters that produce pearls used in jewelry.) Seafood is respected all over the world, in many diverse cultures, as an important source of protein and healthy fats. For thousands of years, people have fished to feed families and local communities. ​​4.4.U4 The highest rates of productivity are found near coastlines or in shallow seas, where upwellings and nutrient enrichment of surface waters occurs. 4.4.U5 Harvesting some species, such as seals and whales, can be controversial. ​The relationship between humans a marine mammals is a special, but sometimes controversial one. It is culturally diverse and politically influential and is based on attitudes ranging from spiritual reverence to fondness of taste. Our relationship with whales and seals in particular have profoundly influenced recent human history. ​4.4.U6 Ethical issues arise over biorights, rights of indigenous cultures and international conservation legislation. ​The principal ethical issues in fisheries relate broadly to human and ecosystem well-being. The most important ones being poverty; the right to food; legislation and overfishing and ecosystem degradation. Fisheries constitute an important source of livelihood for millions of people. Nearly 35 million fishers are directly engaged in fishing and fish farming as a full-time or part-time occupation (FAO, 2002). Fishers are particularly concentrated in developing countries, where about 95 percent of the world's fishers live. The state of world fisheries presents us with pressing ecological, economic, social and political challenges with significant ethical implications. For example, the depletion of a nation's fishery resources represents a moral failure by society to maintain the natural environment and its productivity. It compromises food security, threatening vulnerable communities in particular, and reduces the livelihood opportunities of future generations. The contamination, by pollution, of an otherwise extremely healthy source of food, reducing food safety and threatening human health, is another indication of moral failure in relation to both present and future generations. 4.4.U6 Developments in fishing equipment and changes to fishing methods have lead to dwindling fish stocks and damage to habitats. In the past, fishing was more sustainable because fishermen did not have the resources or the technology to tread into the deeper waters at far flung locations. Their vessels were small with limited capacities for stocking fish and the absence of technology like sonar restricted their fish-hunting activities. The United Nations Food and Agriculture Organisation (FAO) estimates that 91.1% of the world’s fisheries are either fully exploited or overexploited. 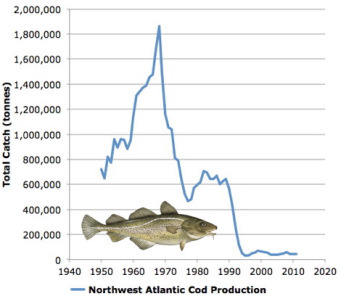 With the introduction of modern industrial fishing techniques the industry has reached a crushing over-capacity that has already decimated a vast range of global fish populations. Today, however, fishing is a multimillion dollar industry with well-equipped ships and hi-tech facilities that enable fishermen to explore new shores and deeper waters to keep up with the increasing demand for seafood. Once a fish stock is over-fished to the point of collapse, it is very difficult for it to recover. ​4.4.U7 Unsustainable exploitation of aquatic systems can be mitigated at a variety of levels (international, national, local and individual) through policy, legislation and changes in consumer behaviour. There are many international agreements in place, however. There are 17 Regional Fisheries Management Organizations (RFMOs), composed of nations that share economic interests in a particular area. When member nations agree to RFMO regulations, they are bound by these rules, which may include catch limits and specifications on the types of gear used. Evidence suggests these regulations have led to decreased bycatch (such as dolphins in tuna nets), but maintaining healthy fish stocks has remained a challenge. Enforcing fishing regulations on the high seas is extremely difficult, but member nations have worked to address the problem of illegal fishing and prevent illegally caught seafood from being imported. One organization that has demonstrated enforcement success is the North Pacific Anadromous Fish Commission (NPAFC), which exists primarily to preserve salmon stocks. Member nations are Canada, Japan, South Korea, Russia, and the United States. 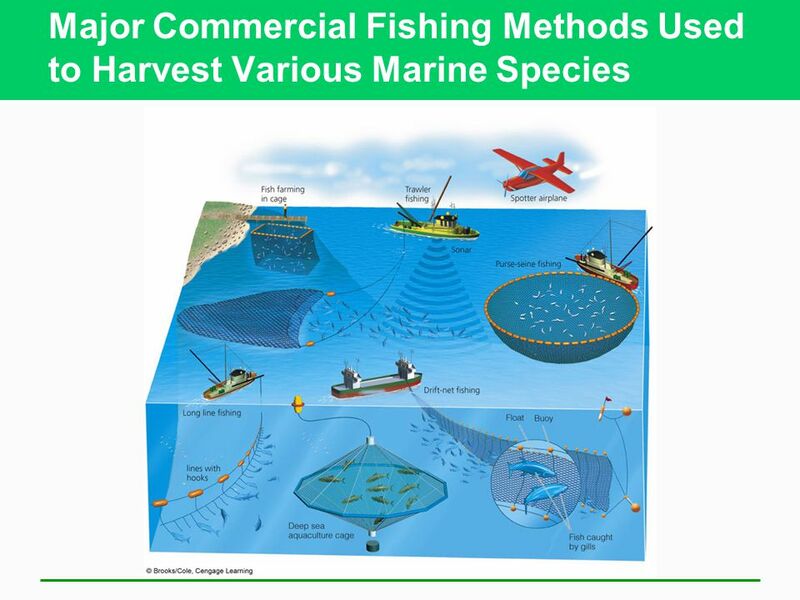 The commission prohibits catching salmon on the high seas, which is primarily accomplished using drift nets. Drift nets float freely in ocean currents, usually near the sea’s surface. They are used to catch schooling fish like salmon and sardines. Unfortunately, these nets result in a lot of bycatch, ensnaring seabirds, marine mammals, and other non-targeted species. 4.4.U8 Aquaculture has grown to provide additional food resources and support economic development and is expected to continue to rise. Aquaculture is the farming, breeding, rearing, and harvesting of plants and animals in all types of water environments including ponds, rivers, lakes, and the ocean. Aquaculture produces all sorts of fish, shellfish, and seaweeds including food fish, sport fish, bait fish, ornamental fish, crustaceans, mollusks, algae, sea vegetables, and fish eggs. Aquaculture also includes the production of fish and shellfish released into the wild to rebuild wild populations. Approximately half the seafood eaten worldwide is farm-raised. Because harvest from wild fisheries has peaked globally, aquaculture is widely recognized as a necessary way to meet the seafood demands of a growing population. 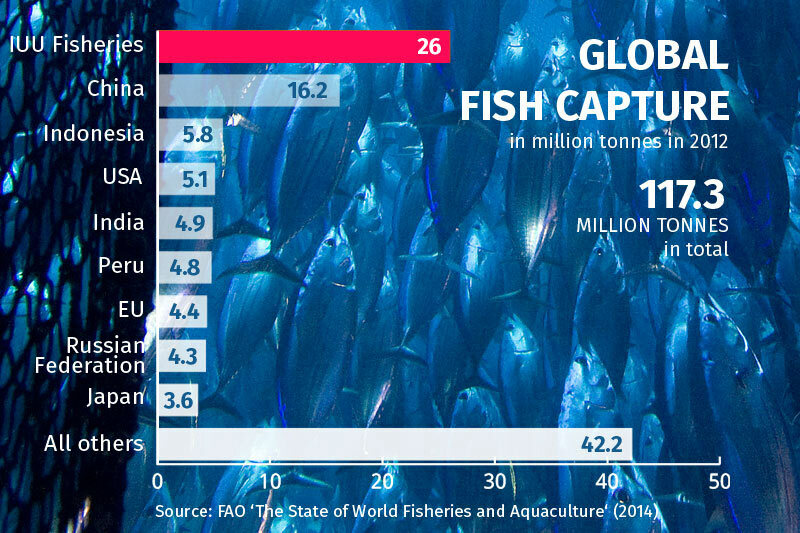 As a result, aquaculture is the fastest growing form of food production in the world. 4.3 U9 Issues around aquaculture include: loss of habitats, pollution (with feed, antifouling agents, antibiotics and other medicines added to fish pens), spread of diseases and escaped species (some involving genetically modified organisms). Like any form of industrial production, aquaculture has environmental impacts. The major impacts for the aquaculture industry include: using more fish than they produce, disease and parasite transfer, the introduction and spread of exotic species, chemical pollution, habitat destruction for farm siting or due to farm activities, and the killing of predators that prey on the farmed species. Social impacts are also considered to be a major impact of aquaculture production and there are numerous conflicts around the world. The major conflicts include: traditional livelihood and community displacement and abusive labor practices. In some cases in the impacts have been extreme and people have ended up being killed in the conflicts. Social impacts are mainly driven by export driven commodity production like shrimp, where companies seek to maximize profits by exploiting poor countries who have poor regulations. ​4.3.A1 Discuss, with reference to a case study, the controversial harvesting of a named species. The whaling controversy is the international environmental and ethical debate over whale hunting. The debate has focused on issues of sustainability and conservation as well as ownership and national sovereignty. 4.3.A2 Evaluate strategies that can be used to avoid unsustainable fishing. 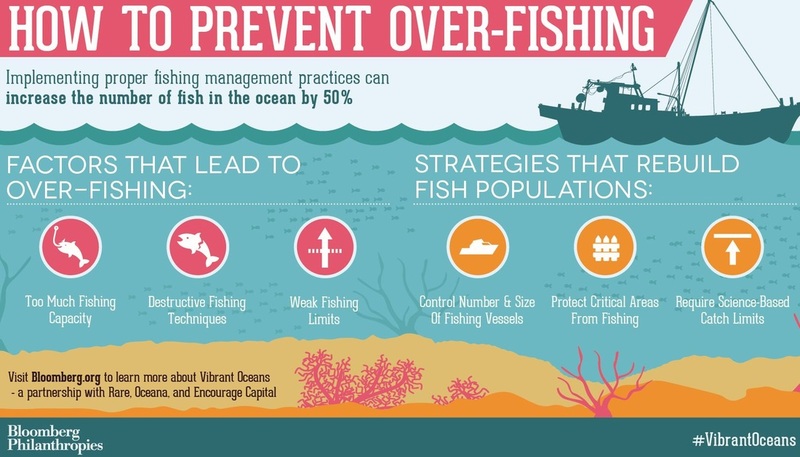 ​The central strategy is to protect and restore marine fisheries, which in turn support fishing livelihoods and supply meals to millions of people around the world. Increase the estimated biomass of severely distressed stocks. Prevent further declines in and/or increase the biomass of stocks facing moderate distress. Reduce bycatch of non-target species or juvenile age cohorts of target stocks. Where possible and relevant, protect and restore critical marine habitat such as mangroves and coral reefs. 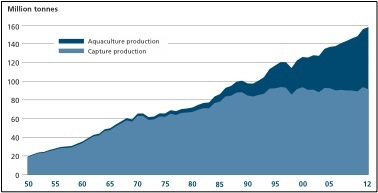 ​4.3.A3 Explain the potential value of aquaculture for providing food for future generations. About 567 aquatic species are currently farmed all over the world, representing a wealth of genetic diversity both within and among species. Aquaculture is practiced by both some of the poorest farmers in developing countries and by multinational companies. Eating fish is part of the cultural tradition of many people and in terms of health benefits, it has an excellent nutritional profile. It is a good source of protein, fatty acids, vitamins, minerals and essential micronutrients. Aquatic plants such as seaweed are also an important resource for aquaculture as they provide nutrition, livelihood and other important industrial uses. Eighty percent of current aquaculture production is derived from animals low in the food chain such as herbivorous, omnivorous fish and mollusks. 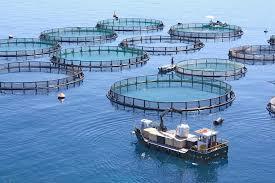 ​4.3.A4 Discuss a case study that demonstrates the impact of aquaculture. Depletion and Salinization of Potable Water; Salinization of Agricultural Land: Pumping of groundwater to supply freshwater to shrimp farms has resulted in depletion and, sometimes, salinization of local water supplies, causing water shortages for coastal communities. There have also been many reports of crop losses after agricultural land has become salinized by effluent water pumped out from shrimp farms onto land. Human Rights Abuses: There has been large scale displacement of families to make way for shrimp farms in some developing countries, contributing to landlessness and food insecurity. Non-violent protests against the industry have frequently been met with threats, intimidation and violence. Protesters have been murdered in at least 11 countries, including an estimated 150 people in Bangladesh alone. Successful management of marine and some freshwater fisheries requires partnership between different nations. The Inuit people have an historical tradition of whaling—to what extent does our culture determine or shape our ethical judgments? Despite its crucial importance for the survival of humanity, marine biodiversity is in ever-greater danger, with the depletion of fisheries among biggest concerns. In 1992, one of the largest stocks of fish in the world, fished for over 500 years, went almost extinct and to this day have not returned in commercially viable levels. What is it specifically that create tragedies like this? 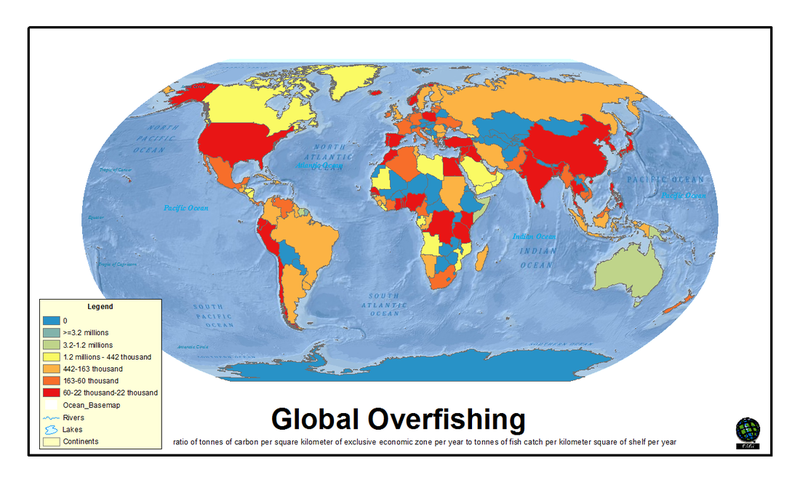 How have other countries avoided overfishing?